Growing up a military brat, Chris Devers has lived all over the United States and abroad. Some of the more unique locations were Iceland, Newfoundland, and Hawaii. He was born in Alabama (Roll Tide) and returned to attend college after graduating from high school. At the University of Alabama-Birmingham, he majored in Comprehensive Language Arts. This prepared him to teach language arts to high school students. Upon graduation from college, Mr. Devers worked for a small private school devoted to children with specific learning differences. These children had ADD, ADHD, Dyslexia, OCD, Asperger’s, and some specific subject based learning differences. Because it was a small school still growing, he had to be flexible enough to teach multiple courses. He taught English, history, math, writing, and drama for grades 6-12. Mr. Devers has attended many seminars on how to work with children who have learning differences, and how to use technology in the classroom. My students have learning differences, not disabilities. This distinction has led him to believe that education is possible for all students with the right accommodations. About two years ago, Mr. Dever’s wife was offered a job in Vancouver, WA. Although it was a very difficult decision, they chose to take the offer and move across the country. They drove the entire distance in just under four days. They arrived in town on New Year’s Eve. The fireworks were a nice welcome! Since then, they have spent their time getting acclimated to the Pacific Northwest. He and his wife both love to read and watch sci-fi movies and television shows. On the weekends, we tend to only go to places they can take their five year old Golden named Odin. He is pretty much the most adorable dog ever! Mr. Devers found his way to Park Academy during his job search of the Portland area. Its seemed an ideal spot with its similarities to his previous school. 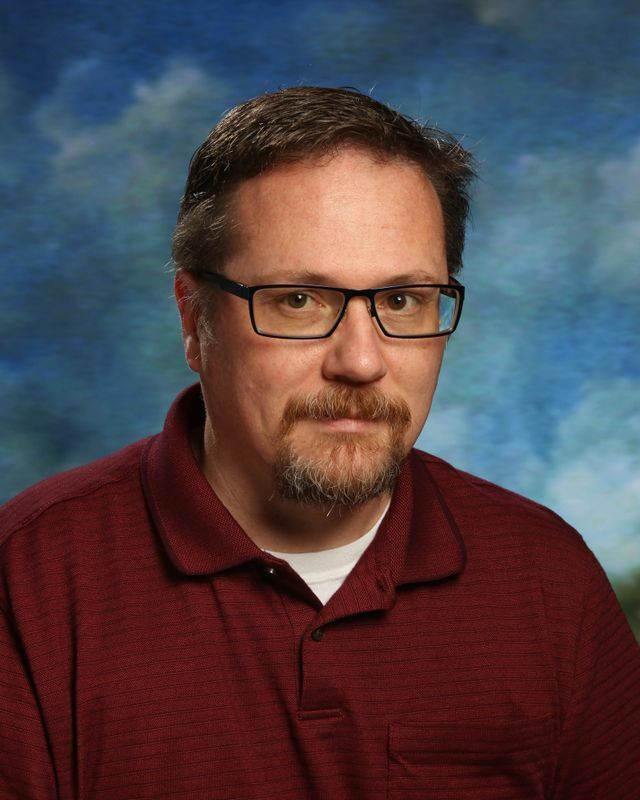 In his fifth year at Park Academy, he will teach English and careers to the high school. The students are great, and he is looking forward to another wonderful school year full of accomplishments. Additionally, his first class he taught five years ago is graduating in 2019!